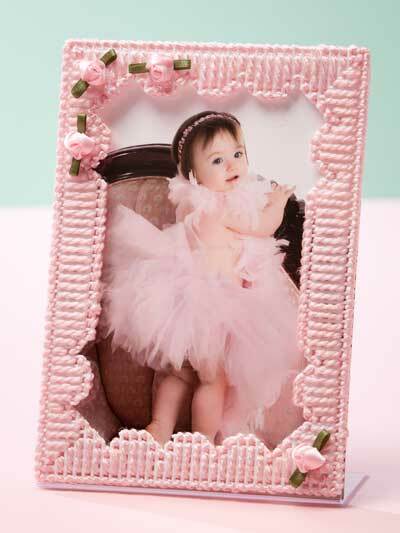 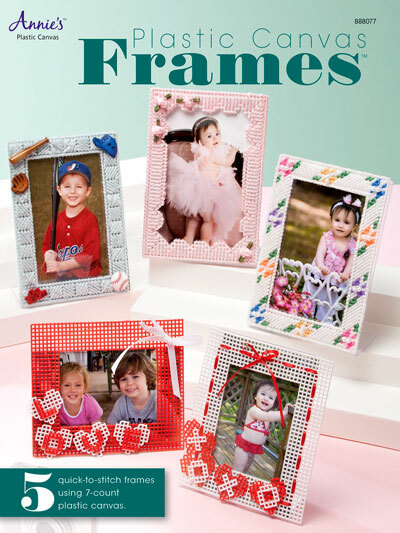 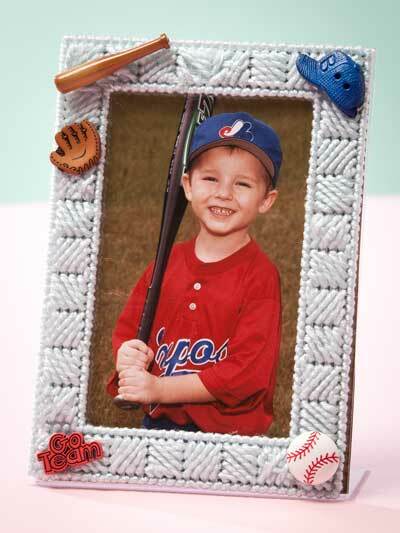 Display your loved ones in these special frames. 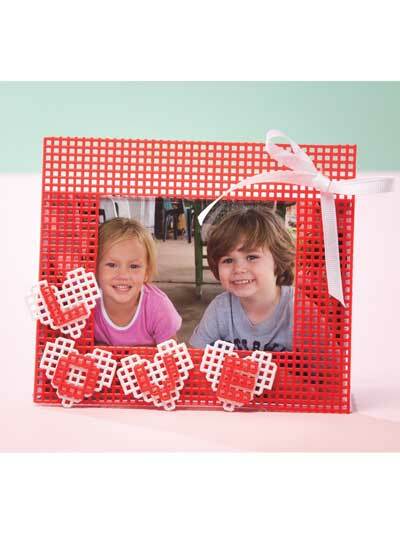 Five frames made using colored 7-count plastic canvas, Needloft yarn and embellished with buttons, ribbon roses and ribbon. 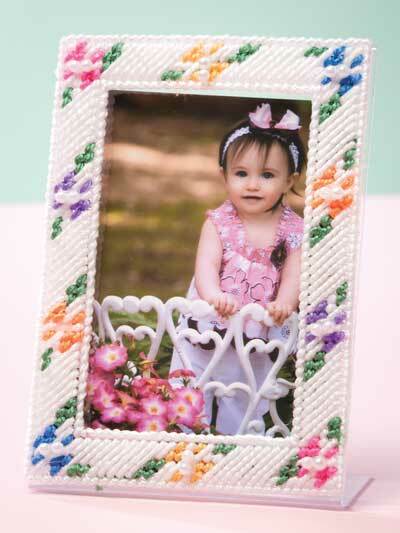 Each frame is glued to a 4” x 6” acrylic frame.